The last two times a first-year Buckeye won the starting quarterback job, Terrelle Pryor and Braxton Miller had up-and-down freshman campaigns in 2008 and 2011, respectively. If Fields does win the starting job this fall, he would have some advantages over those two. For one, he’s in Columbus for spring ball. Miller was too, during the tumultuous spring of 2011. Pryor didn’t arrive until summer. And Fields also has one season of college football under his belt already. That time with the Bulldogs isn’t perfect preparation for what he’ll face in Columbus, but it’s better than nothing. 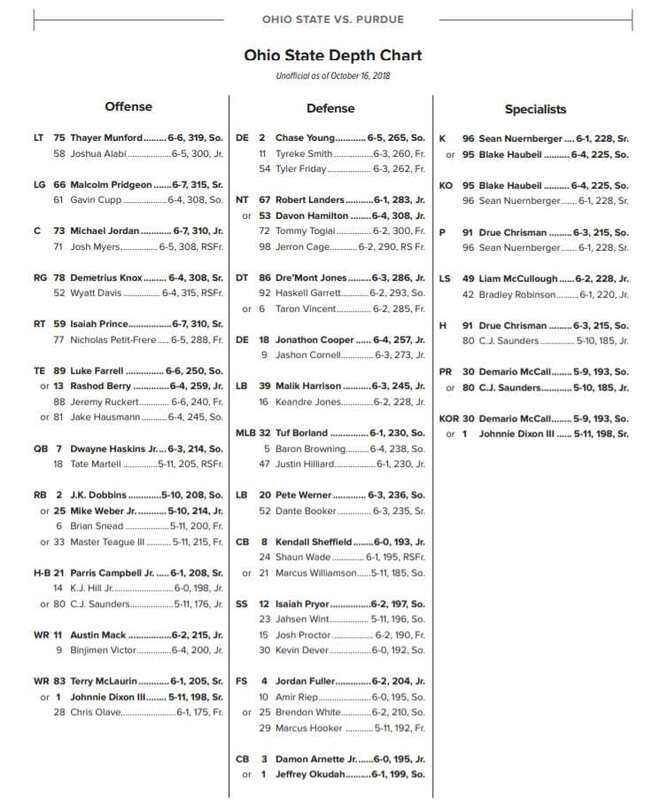 I think Coach Day was referring to all new QBs when he said they would have to simplify – I’m sure they simplified for Baldwin – I doubt if he knows the entire playbook after redshirting and getting mostly mental reps. So, I’m confident that there will be a true competition for the starting job – like last year. if you recall, there were some who thought Joe Burrow won the job in the Spring and ripped the coaching staff for handing the keys to Haskins. We see how that turned out. My point is trust the guys who see the players day in (no pun) and day out. Particularly trust a good position coach which I think Day and the new guy are. If Fields wins the job and he is likely to do that barring injury, its because he gives the Buckeyes the best chance to win – the same holds true for Baldwin. Feb 11, 2019 by Tommy N.
Baldwin should be the QB if he knows the play book. Hope they do not put in a jv option offense with QB draw as the main play. 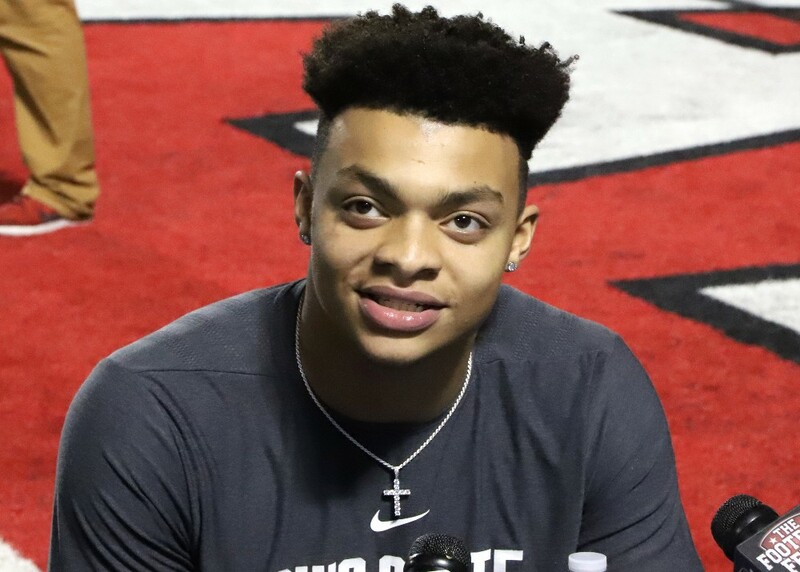 Feb 11, 2019 by Brett C.
I am just a fan and I don’t know how to break down to the X’s and O’s and the ins and outs of coaching, but why are you simplifying the offense for Justin Fields? Matt Baldwin should know the all the intricacies and be able to use more of the playbook with his time spent here, hence have a competitive edge. Isn’t that the way it’s supposed to work? It sounds like they are dumbing down the offense to fit Fields and not having a true competition with the entire playbook. Seems to indicate they want Fields to start. If Fields doesn’t start, doubt he will be able to transfer again, right? What;s the risk in having a true competition with the entire playbook? Tate Martell exhaled when he heard that Fields can start, OSU, AL and CLEM all won national titles with new QB’s, so can we easily. I expect with our young OL, more run option with easy throws as Dobbins will be a great assess and look for the pass game to jump as the season progresses. Our improved D should cover our weaknesses until Fields has this O in full gear. From where I sat, big talk was pretty much the only thing Martell was really good at. Simple enough of a request.